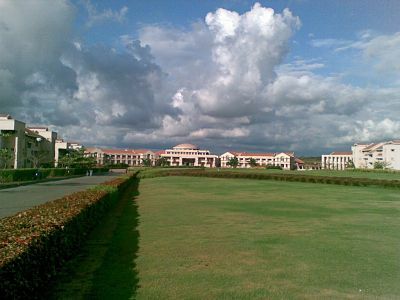 BITS Pilani K.K. Birla Goa Campus is all geared up to host its annual sports fest, Spree, in the first week of March. One of the top sports fests across the country, Spree is going to be a star-studded event with electrifying performances by celebrities like Shalmali Kholgade, Benny Daya, Aditi Rao Hydari, and Raghu Dixit. Spree has always been recognized for its awe-inspiring standards, top-notch teams from top colleges across the country, international level badminton and tennis courts, and a BCCI maintained cricket and football ground. BITS Pilani-Goa boasts all the necessary facilities to hold all big events like Spree. However, Spree has now gone high-tech as its move to keep up with the pace of changing requirements. As a result, Spree also hosts special off-beat events such as anti-chess, keepy uppy, 3v3 volleyball and tug of war. Spree also earns its reputation for supporting various noble causes, Act to Inspire campaign being the most recent one. It has been closely associated with a number of NGOs such as Special Olympics Bharat, El Shaddai and Habitat for Humanity. The reputation of Spree as India’s one of the biggest sports fest is only going to grow in the coming years.